Comic Frontline: Titans Live-Action Series And Young Justice: Outsiders Announced! 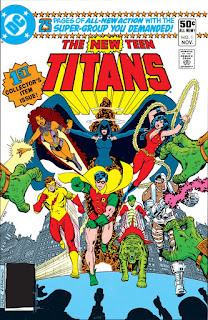 Warner Bros. Television and DC Entertainment today announced that executive producers Akiva Goldsman, Geoff Johns, Greg Berlanti and Sarah Schechter are teaming up for the all-new live-action drama series Titans, which will debut in 2018. Additionally, Warner Bros. Animation’s Young Justice: Outsiders, the highly anticipated third season of the popular Young Justice series, is also ramping up for its first mission next year. Sam Register (Teen Titans Go!, Justice League Action) is executive producer of Young Justice. Brandon Vietti (Batman: Under the Red Hood, Superman Doomsday) and Greg Weisman (Star Wars Rebels, Gargoyles) are producers of the series, produced by Warner Bros. Animation. Emmy Award winner Phil Bourassa (Young Justice, Justice League Dark, Teen Titans: The Judas Contract) serves as the series’ art director. Stay tuned to Comic Frontline for updates on these exciting new series and the upcoming DC digital service. You can expect the Frontline LIVE Crew to discuss this Tonight at 9:30 PM On Frontline LIVE 149!